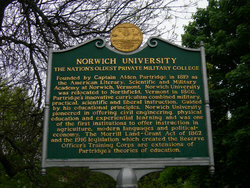 Our hotel is near Norwich University, the oldest private military college in the United States. 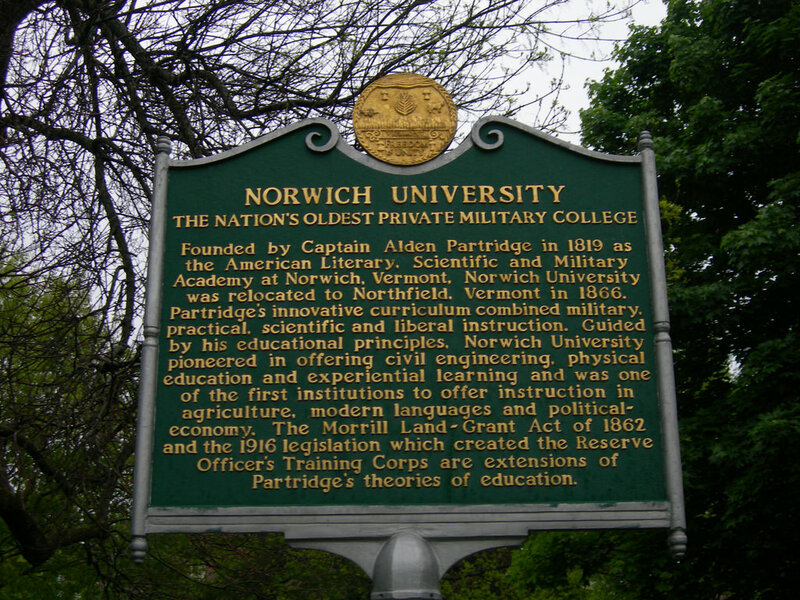 Founded in 1819 by Alden Partridge, Norwich University was created to address the need for an educational institution that combined civilian and military studies that would produce well-rounded graduates. Partridge was focused on the prompting the “American System of Education” throughout his 40 years with the school. 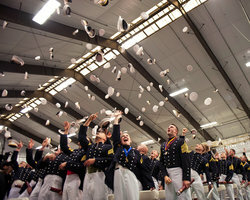 After merging with Vermont College in 1972, Norwich University was able to expand its academic base, extending its offering to women and adding a non-military aspect to the college. 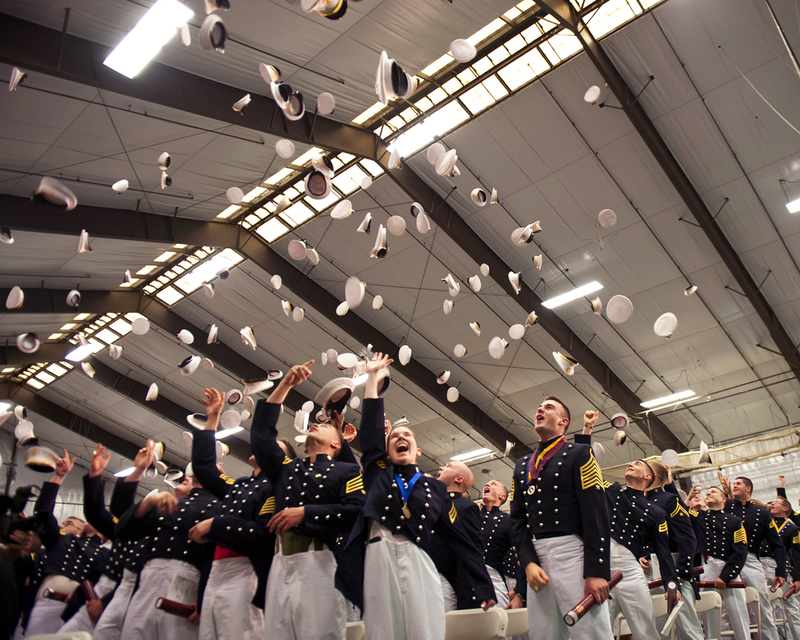 Today, Norwich University continues to expand its stellar academic programs while working towards the goal of creating well-rounded students ready to take on leadership roles in business, government and the military. Students can choose from an extensive list of programs that includes schools of liberal arts, science and mathematics, in addition to a school of national services. Norwich University’s beautiful campus is located just 14 minutes from the Comfort Inn & Suites at Maplewood, making our charming hotel a favourite amongst visiting family and friends. Book your stay with us today!